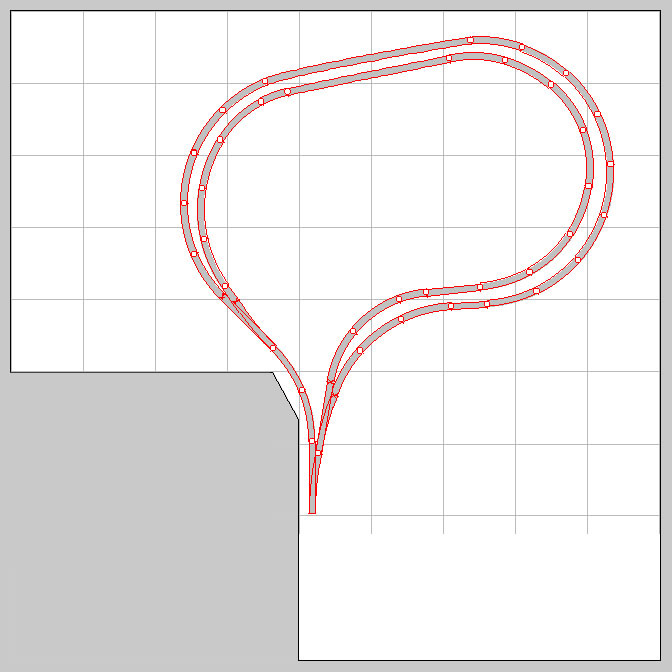 The track on this level rests on the bench grid and is the lowest level of the plan. These tracks provide the train holdover area and the track north of the four bridges (colored magenta) is hidden. Each siding in the double track section is electrically isolated for reverse loop power control and occupancy detection.